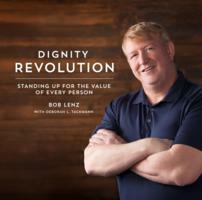 For Immediate Release − Renowned international speaker and author, Bob Lenz, is releasing his latest book entitled Dignity Revolution: Standing up for the Value of Every Person , co-authored with award-winning educator, Deborah Tackmann. Dignity Revolution is a culmination of Lenz’ three decades of leading assemblies in over 3000 public schools on the issues of bullying, self-harm, suicide and substance abuse. Since 1982, Lenz has reached an estimated four million youth in the U.S. and around the world. Lenz says he hopes the book will begin a national movement among middle and high school students. For Dignity Revolution, Lenz teamed with Deborah Tackmann, B.S., M.E.P.D., a health education instructor, consultant and author in the Eau Claire Area School District in Wisconsin. She was selected as one of the top teachers in the nation by USA Today, was awarded National Education Professional of the Year by ASHA and AAHE, and is a Disney Teacher Award recipient. numerous festivals including AtlantaFest, Creation, Rock the Desert, and many others. For more information on Dignity Revolution, visit http://www.dignityrevolutionpledge.com. For more information on Bob Lenz, visit http://www.LifePromotions.com. San Diego, CA – May 13 2014—Standard Publishing—publishers of children’s music for decades—has signed a digital distribution deal with Syntax Creative in good timing before the summer launch of “Jungle Safari” curriculum, a Vacation Bible School curriculum used across the country. Churches around the world use Standard Publishing’s resources to inspire, educate and motivate their communities. One of Standard’s most popular resources is their VBS curriculum, which includes original, inspiring music from award-winning recording artist Yancy. This year, Yancy created eight, new songs to go along with the “Jungle Safari” VBS resource, which are available now for pre-order at iTunes now. And, now these biblically-based songs will be available to the public to use during VBS and all-year long. Additionally, Yancy’s music from previous VBS packages will be made available through digital services providers as well. Yancy has released several high-quality albums and multiple projects for kids and young adults alike, all while sharing the stage with such artists as Mutemath, Newsboys and Nichole Nordeman. As a writer, Yancy has teamed up with Third Day’s Mac Powell to write Avalon’s #1 hit “I Don’t Want To Go” and Jaci Velasquez’s “Something Beautiful,” among others. To learn more, visit:www.yancynotnancy.com. Standard Publishing has served Christian churches worldwide for nearly 150 years as a leader in children’s and adult resources. Whether educating children, teens or adults, you will find their products true to the Bible—a promise kept for more than a century. To learn more, visit: www.standardpub.com. Syntax Creative, based in San Diego, California, is one of the top independent digital distributors, design firms and marketing agencies that represents more than 100 content creators. Their clientele includes Central South, Answers In Genesis, Pinecastle Records, Crossroads Music, Canon Press, Humble Beast, among others. To learn more, visit: www.syntaxcreative.com. (NASHVILLE, Tennessee) — Christian singer-songwriter and children’s worship expert Yancy has created all-new songs and music videos for Standard Publishing’s 2014 Vacation Bible School program. “Jungle Safari,” which also includes contributions from Beth Guckenberger and special needs expert Vangie Rodenbeck, is packed with fun and adventure, teaching kids that God is Creator, Provider, Protector, Savior and King. Standard Publishing’s focus on value ensures that churches get everything they need to lead VBS in one simple kit without having to buy core pieces separately. In fact, this is the only VBS curriculum with reproducible music so that churches can put the music in their kids’ hands for free. For more information about “Jungle Safari,” visit www.vacationbibleschool.com. For more than a decade, Yancy has released radio friendly pop/rock albums and multiple projects for kids and young adults. Her new adult-focused modern worship album, “Roots for the Journey” (Elevate Entertainment / Syntax Distribution), was released on May 21st to rave reviews. For more information, visit www.yancynotnancy.com. BURBANK, Calif.—Today’s highly anticipated release of God’s Truth, Volume 4 of Whitestone Media’s popular Theo animated series, brings with it powerful new teaching tools that help parents convey the truths of faith and the importance of prayer to their children. Who is Theo? He’s a kindly English pastor full of wise words that communicate—and simplify—the often difficult messages of the Bible for young minds. Assisting Theo are two mischievous mice, Luther and Belfry, who also provide comic relief. The animation, writing, direction, music and overall entertainment value set a new standard for presenting biblical Truth to children and families. 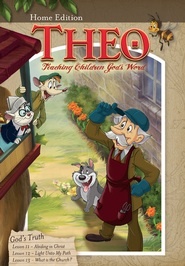 Previous DVDs in the series have featured such episodes as “Redemption,” “Saving Faith” and “Loving Obedience.” Volume 4, God’s Truth, contains three new episodes: “Abiding in Christ” teaches that abiding in Christ is a lot like imitating Him; “Light Unto My Path” teaches that the world is spiritually dark, and without a light we’d trip over spiritual obstacles and wouldn’t know which way to walk; and “What is the Church?” teaches that the Church is inclusive of people from all nations, races, and ethnicities and is the Body of believers worshipping God and sharing the love of Christ together. God’s Truth also breaks fresh ground in the series by including the newly minted Home Edition. While the animated lessons entertain and educate children about God’s Word, the Home Edition includes a Parent’s Guide designed to promote quality family devotional time together. After viewing the video, the Parent’s Guide helps parents introduce questions to stimulate discussion with their children concerning the topics they’ve just watched. There are also fun family activities, suggested Scripture readings, and a closing prayer to finish the Bible study. Nightly devotionals are included to help underscore the lessons of each episode, making them fun to learn and easy to remember. A Whitestone Media release, Theo: God’s Truth Home Edition retails for $14.99. Distributed by EMI CMG Distribution, the DVD is available online and at leading Christian retailers nationwide. For more information, visit www.theopresents.com. Back by popular demand, The Baby Einstein Company will be releasing nine of its most popular videos to market as individual DVDs on Tuesday, February 7th. These fan-favorite DVDs help provide today’s parents and caregivers with compelling content that engage babies and provides meaningful ways to spend time together. The DVDs can be found at stores across the U.S. and Canada only and/or at www.BabyEinstein.com and retail for the suggested price of $14.99 U.S./$16.99 Canada. • Baby Lullaby – Take your baby on a soothing journey with classical lullabies by Bach, Brahms and Mozart. Enjoy relaxing ocean waves,sweet puppet shows, and tranquil images. From fun time to rest time, Baby Lullaby is the perfect way to spend special time with your baby. • Baby Beethoven – Parent and baby can listen to the joyous sounds and cherished works of Beethoven. See how music celebrates the sounds of different instruments.Together, they will experience a world of enchanting sights and sounds and make new discoveries with Baby Beethoven. • Baby Mozart – Parent and baby will discover the joy of classical music together and listen to Mozart’s popular works – including “Twinkle, Twinkle Little Star” – delightfully re-orchestrated for little ears. They’ll look at real-life images and enchanting puppet shows bringing a symphony of sights and sounds together as they share new discoveries with Baby Mozart. • Neptune’s Oceans – Dive in with your little explorer for a voyage of undersea discovery! Journey across Neptune’s Oceans to encounter amazing marine life in their natural habitats. Penguins, whales, dolphins, sea lions and crabs come to life in engaging musical portraits. Together, you and your baby will ride a tide of fun as you explore this wondrous new world! • Wild Animal Safari – Parents can take their little explorer on an exotic musical expedition to meet wild animals from across the globe. Together, they’ll journey to the jungle, savanna, desert and forest on a wild, wonderful voyage of discovery with Wild Animal Safari. • Animals Around Me – Parent and child set off on a fun-filled “field trip” to discover animals found at the park, on the farm, and in their own backyard – whether furry or feathered, winged or wiggly, bumpy or cuddly, they’ll explore the Animals Around Me. • World of Rhythm – Your little one will want to keep a beat, snap his fingers and march his feet! Join characters Pillie, the musical woodpecker, and Coco, the dancing cockatoo, and share the excitement of rhythm with your baby. World of Rhythm explores rhythm in music, rhythm in nature and rhythm as a form of expression. It’s a fun way to encourage children to express themselves through singing, dancing, clapping and playing! • World of Colors – Parent and child share a rainbow of sights and sounds and discover the wonders of color together! They’ll join puppet host “Vincent Van Goat” as he creates six Van Gogh masterpieces exploring red, green, blue, yellow, orange and purple with World of Colors. 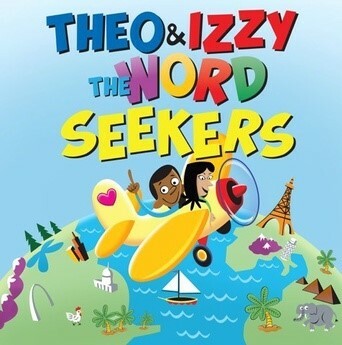 • World of Words – Parent and child join playful puppet host Bard the Dragon on an exciting adventure using everyday words, such as flower, cat, and moon, plus beautiful scenery from nature with World of Words. Billy Tucci—famous for the worldwide success of the modern samurai graphic novel Shi, among many other works—writes and draws a meticulously researched story of Christ’s birth, Billy Tucci’s A Child Is Born. Known for “cape and cowl” superhero comics, Tucci found inspiration in his faith through his wife’s year-long battle with breast cancer and committed to putting Christ in a comic of the Christmas story. The 32-page graphic novella launches sales today. 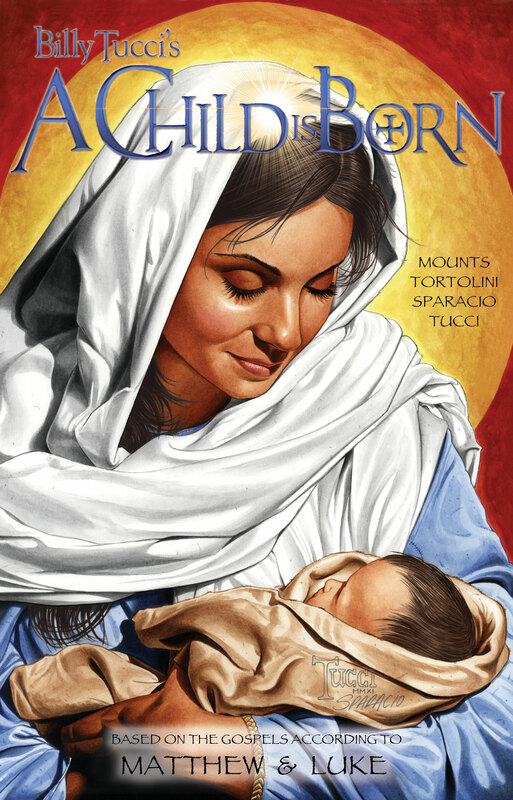 AUSTIN, Texas – Nov. 23, 2011 – Sales launch today on world-renowned, award-winning graphic novelist Billy Tucci’s biblically accurate, meticulously researched, beautifully drawn telling of the birth of Jesus—Billy Tucci’s A Child Is Born. Tucci, called a “rock star” of the comic world, was best known for the global success of the modern samurai graphic novel, Shi, and for his groundbreaking mainstream comic series, Sgt. Rock: The Lost Battalion. But it was his wife’s one-year, victorious battle with cancer and its effect on his family’s faith that led Tucci to A Child Is Born. Tucci partnered with Evan Archilla and Dr. Jason Peet and created Apostle Arts, producing their first graphic novel, A Child Is Born, which features more than 80 panels drawn by Tucci and colored by his frequent collaborator, Paul Mounts. Working with nativity scholars and basing his text on the Gospels of Matthew and Luke, Tucci painstakingly researched the clothes, locales—even the scientific explanation for the Star of Bethlehem—to recreate the Middle Eastern world at the time of Jesus’ birth. When talk turns to superhero comics, Tucci knows a thing or two about it. Shi, his graphic novel, modern samurai fable has sold more than three million copies, been translated into five languages and generated $25 million in sales. With that success, Tucci moved into the world of mainstream comics with Sgt. Rock: The Lost Battalion, a series that placed the iconic DC Comics character in a historically accurate retelling of a famous World War II battle. And Tucci saw that same potential for a gripping, historically accurate story in the Gospels. A Child Is Born sells through comic stores, bookstores and online, published by Apostle Arts. Through bulk sale discounts of 30 or more copies, churches and organizations can use A Child Is Born as a fund-raiser or giveaway. 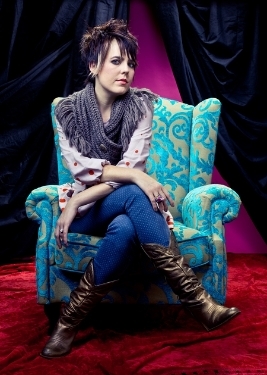 (CINCINNATI, Ohio) — In what is believed to be a first-ever partnership of this kind, Standard Publishing today announced that children’s worship expert and composer Yancy has entered into an exclusive partnership to write and produce 10 original songs for Standard Publishing’s 2012 Vacation Bible School, and to perform the songs for videos and at personal appearances for promotional events during the coming year. Yancy has been performing and writing music her entire life, and involved with ministry about that long too, as she is the daughter of ministry veteran Jim Wideman. The partnership with Standard Publishing marks a new element in her career, as this is the first time she’s ever written music for a Vacation Bible School publisher. Yancy will join Standard Publishing at the Christian publishing industry’s International Christian Retail Show (ICRS) on Sunday, July 10 in Atlanta, as well as at the North American Christian Convention in Cincinnati on Wednesday, July 6 where she will lead children’s worship. At both venues, she will help launch Standard Publishing’s promotion for its 2012 Vacation Bible School theme. “Music is such a powerful way to connect with an audience,” Yancy continued. “We all have events and memories in our life that are brought back to our remembrance when we hear a certain song. Standard Publishing, the original publisher of Vacation Bible School and an award-winning powerhouse in this field, continues to break new ground in VBS with signing Yancy. “We have long been committed to providing original music each year for VBS as we want the message of VBS to continue to be reinforced by the music the kids are learning. This is some of the best learning times for kids, and most long-lasting, as the children go home singing these songs and continue to sing them for months and years afterwards,” said Bob Wallace, Standard Publishing Marketing Manager. She has produced 10 of her own CDs, in addition to composing and arranging for other Contemporary Christian Music artists. 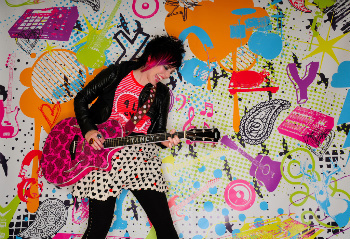 She’s written songs with Third Day’s Mac Powell and co-wrote Avalon’s hit single “I Don’t Want to Go” as well as Jaci Velesquez’ “Something Beautiful.” She recently released a new CD, Stars, Guitars and Megaphone Dreams. Along the way, she’s written devotional books for worship teams, launched a father-daughter event with her dad, and provided church resource materials and led workshops for children’s worship leaders. To learn more about Yancy, visit www.yancynotnancy.com. Standard Publishing’s award-winning VBS programs consistently rank high with consumers for Biblical content, thorough lessons, and variety of extra materials available. Earlier this year, Standard’s VBS added Top Pick VBS for 2011 from children’s ministry blog, About the Children’s Department, to its list of awards. Other recent awards include being named 2010’s Best VBS by Christianity Today’s Your Church magazine. To learn more about and get free downloads of VBS music as well as other helps, visit www.vacationbibleschool.com, or www.standardpub.com. For more than 140 years, Standard Publishing has been raising the standard for true-to-the-Bible resources that educate, encourage and enrich. The company is based in Cincinnati, Ohio where it was founded in 1866. For more information, visit www.standardpub.com or call Standard Publishing at 1-800-543-1353. Awarded the Mom’s Choice Award of Excellence in Three Categories. Heartwarming Story of the True Meaning of Christmas Resonates with Readers of All Ages. MARY’S SON: A TALE OF CHRISTMAS (Cross Dove Publishing, LLC, 2010, $15.95) has been honored with the prestigious Mom’s Choice Award of Excellence with a Gold Seal in three categories – Juvenile Level 2 Books, Young Adult Books, and Adult Books. The Mom’s Choice Awards is known for promoting the benchmark of excellence in media, products and services. Their “Gold Seal” helps families, teachers, caregivers and concerned consumers navigate the vast array of products and services, and make informed decisions and discover new product that are family-friendly. In Mary’s Son, author Darryl Nyznyk reminds us that in spite of the temptations and fears of twenty-first century life, the spirit of Christmas can be alive in the hearts of our children. Nyznyk, a successful attorney, law professor and real estate developer, began reciting this short story for his then eight-year old daughter (who is now in her 20’s), as a way of imparting to her the true message of Christmas. Now, Nyznyk has opted for the life of a professional storyteller, inspired by this initial story he shared with his family. While the message of Mary’s Son has grown over the years, the lessons have remained clear about keeping Christ in Christmas and learning to “love your neighbor as yourself.” Mary’s Son is a heartrending story of youthful fears, passion, and tears that will give readers of all ages hope for a better world. Like the iconic Christmas image of Santa Claus kneeling before the manger, this story will move readers of multiple generations, as it allows parents to demonstrate the true meaning of Christmas, while still allowing the young people to identify with the more secularized traditions of the Season.